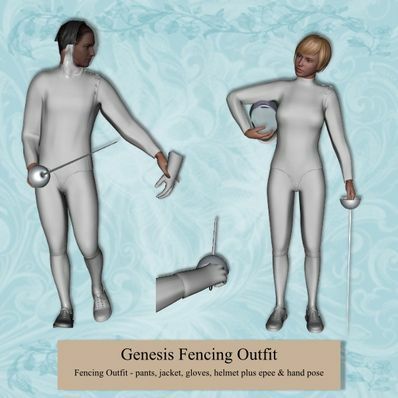 A Fencing Outfit for Genesis for use in Daz Studio 4. Included a Hand Pose for use with the epee which is parented to the right hand. Skin colouring for Genesis legs and feet. Wow, the face mask and epee (I'm assuming that is the sword thingy. So neat, thank you. This is so cool - thank you very much!